Discussion in 'General' started by The Joker, Dec 3, 2018. This movie was actually made by a friend of a friend. Haven't seen it yet myself, but someone who has called it "the Creepshow of Christmas movies." I'm reserving judgment. The Joker and Workshed like this. DVD will be 9.96 at Walmart stores tomorrow but the bluray has been delayed until Jan 8! I watched it tonight, not a fan, it was pretty out there, but for me not in a good way. it's an anthology that's the only link to Creepshow, the stories are not on a par. I thought it was entertaining but it is very low budget and I didn't care for the wrap around segment. I will say that I really liked the second segment. It's creative, fun, and all-around well-done. As for the rest of the movie… it was mediocre. I felt like the first segment should have been fun, but it wasn't. The other three were interchangeable bores. The movie is only 80 minutes, and it seems to go on forever. 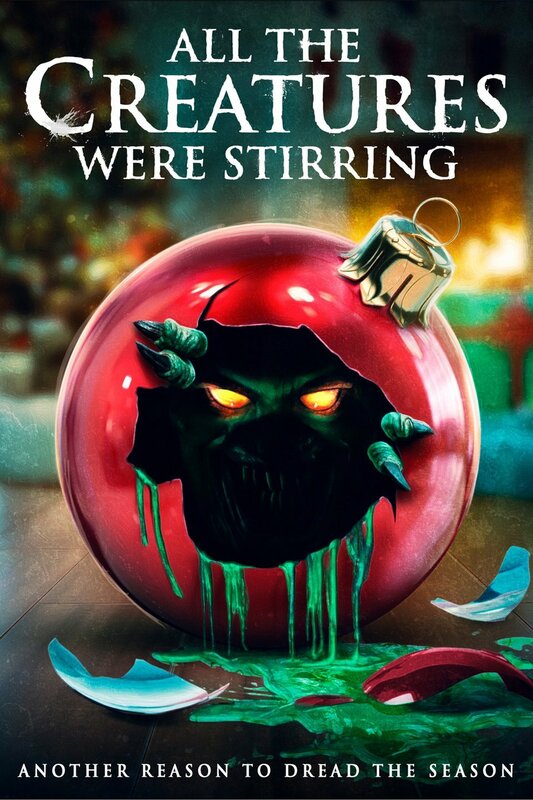 Also, not sure if it's a Los Angeles thing or what, but this entire movie looks and feels aggressively un-Christmas? There are little-to-no lights, decorations, and obviously snow. The sparse Christmas ties felt shoehorned in just to fit everything together. I'm grateful that they delayed the blu-ray to January, because this is something I probably would have blind-bought. Thank you Shudder for saving me a couple bucks and the shelf space. Give the second segment a stream if you want a great little short, but you can safely skip the rest. I'll add that Rebekah's Shock Waves co-host Rob released a new Christmas horror movie through his label that, while still not great, was much more entertaining than this. It's called Slay Belles, and most will probably find it shrill and obnoxious, but I thought it was breezy energetic fun. And as for the Christmas décor, this is the polar opposite of All The Creatures Were Stirring, as it is aggressively filled with Christmas. It was filmed at the same then-abandoned (but now re-opened) Christmas amusement park from The Fear (1995). Horrorphilly and chancetx like this. The trailer seemed pretty good. I'll still check it out. I've only seen Creepshow 2 and only like one or two segments in that. So if this movie has one or two segments that I like it's ok I guess. I liked the first two segments then they went down hill. The 2nd was the best of the two. I agree it felt un-Christmasy and very L.A.